The industry seems to be all a twitter (pun intended) about Nortel buying Pingtel. I'm really hoping they don't mess up a good thing with the acquision. I'm encouraged by the cross pollination that has been going on for about a year with the developers working together. Ken Camp blogged about the Pingtel acquisition today... Ken always brings a unique perspective on things. 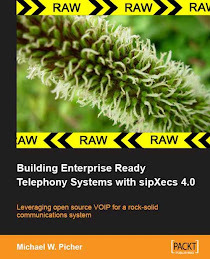 Over at OS-Voip they feel it is a big day for Open Source Voip. For sipX the real boost came about a year ago when Nortel started contributing to the development. I really think they were just doing their due dilligence. Over at the Hyperconnected Enterprise, Tony Rybczynsk of Nortel writes briefly about the acquisition.